Search engine technology has always kept on evolving and algorithms have become more and more advanced. The strategies and SEO tactics have all changed in response. 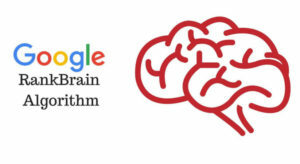 There are close to 200 ranking factors in Google’s algorithm, apart from RankBrain which clearly means that if there’s an SEO audit that would lead to hundreds and thousands of SEO tasks. There are very few companies which have the budget or even resources to complete all the required to-do items for SEO. There are few SEO tasks which are often critical and which can’t be ignored and the others are just not worth the time. Whenever you audit any website for technical search engine optimization issues, even the top performing websites of the world will find out hundreds of things that need to be done and the list of SEO work will keep going endlessly. Despite being the era of RankBrain, critical technical SEO issues aren’t non-existent but they are certainly rare. If a site has few major technical problems, no amount of engagement SEO work can be effective. Let’s check out few critical SEO problems. Speed of the site: Google is of the opinion that the speed of the site is one of the most important ranking factors. Research also reveals that faster sites rank better and there is more engagement as well. It is even seen that majority of the mobile users abandon a site which takes more than 3 seconds to load. Performance on mobile: Apart from speed of the site, all other aspects of the mobile performance of the website are a vital technical consideration. Mobile-first indexing is right around the corners and hence mobile performance is something which deserved own discussion. Google penalties: Spam content, hacked sites and unnatural backlink profiles can lead to different ranking penalties. Sites with manual actions can be demoted in Google search results or even eliminated. If Google Search Console lists down a manual action on your website, take immediate steps to resolve the matter and disavow low-quality links. Blocked resources: In case search engines can’t crawl or index your site, resolving the issue need to become your initial priority. Allowing the content of the site to be indexed is one of the fastest ways of improving organic traffic. Crawl issues can be caused due to different factors like robots.txt file, server problems or unintentional no index tags which restrain the rate of Google crawl. Therefore, despite being the era of RankBrain, these fundamental SEO issues do matter a lot and hence you need to take care of them.